Mary Saylor, 99, Johnson City, died Wednesday, March 20, 2019, at NHC Healthcare of Kingsport. She was a daughter of the late George Preston and Margaret Sherrill Hagaman. Mary’s mother died of pneumonia when Mary was at the age of five, and she and her sister went to live with a great aunt and uncle, who were both physicians in Marion, VA, Drs. Z.V. and Carolyn Sherrill. Mary was born in Boone, NC, was raised and attended elementary school in Boone, NC and Marion, VA, until her enrollment in Marion College High School Department. Mary graduated from there in 1936, and then graduated from Marion Junior College in 1938. She then enrolled in the Home Economics Department of Virginia Polytechnic Institute, Blacksburg, VA and graduated in 1940 with a Bachelor’s Degree in Dietetics and Nutrition. Mary taught Home Economics and Geography at Konnarock Lutheran Mission School for a year, then, in 1942, completed a year dietetic internship at Vanderbilt University Hospital, Nashville. From 1943-45, she worked at Cabarrus County Hospital as assistant, then head dietician. Mary joined the Army in March of 1945, which she served in the Women’s Medical Specialist Corps until her discharge in July of 1948. Mary worked at Winston-Salem Baptist Hospital from 1948-52, then returned to school at the University of North Carolina at Chapel Hill, where she graduated in 1953, receiving her Master’s Degree in Public Health. Upon her graduation, Mary began her employment with the Sullivan County Health Department in Bristol, Kingsport and Blountville, where she continued to work as a Public Health Nutritionist until her retirement in 1980. Early in her career with the health department, Mary met and later married Dr. Jack Saylor in 1959, a dentist who was also employed with the Sullivan County Health Department. Upon Jack and Mary’s retirement in 1980, they spent much of their time traveling together until Jack’s unexpected death in 1983. Following his death, Mary continued travelling much of the world, often with her dear friend, Agnes Yates, with a new destination and adventure each year from 1983-2004. For most of her adult life and career, Mary resided in Blountville, until moving in 1992 to the Appalachian Christian Village Towers in Johnson City. Mary was a member of First Presbyterian Church, Johnson City. The family would like to express a special “thank you” to the residents and staff of Cornerstone Village, the nursing staff of NHC of Kingsport, Gerald Malcolm and First Presbyterian Church of Johnson City. In addition to her parents, Mary was preceded in death by her husband, Dr. Jack Saylor, in 1983, three brothers, Jake, Ralph and Frank Hagaman. She is survived by her step-daughter, Susanne Saylor McKinney, Kingsport; her sister, Blanche Childs, Solomons, MD; nieces, nephews; Tommy Thompson, Agnes Yates, and many friends at First Presbyterian Church and Cornerstone Village, Johnson City. There will be a graveside service with military honors conducted by the Carter County Honor Guard on Friday, April 19, 2019, at 2:30 P.M., at Mountain Home National Cemetery. 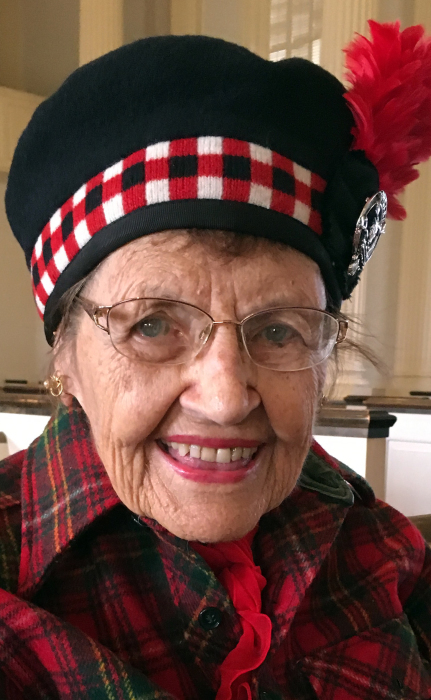 Those planning to attend are requested to meet at the cemetery by 2:20 P.M.
A memorial service celebrating the life of Mary will be held Saturday, April 20, 2019, at 11:00 A.M., in the Cornerstone Village Chapel, with Palma Bennett, Minister, officiating. A reception will follow the service in the Multi-Purpose Room at Cornerstone Village. Those who prefer to make memorial contributions in Mary’s name are requested to do so to First Presbyterian Church, 105 S. Boone St., Johnson City, TN 37604.